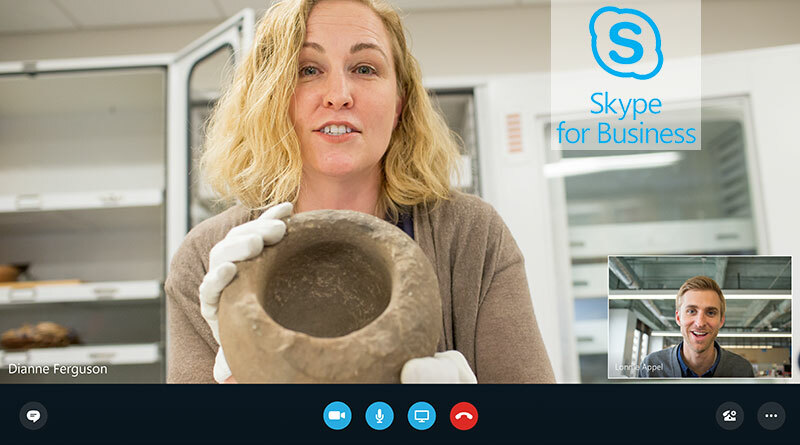 Skype for Business is an incredible communications platform from Microsoft. Since switching from Microsoft Lync to Skype for Business, the Redmond company has been steadily building out the most advanced unified communications platform for businesses of all sizes. “Unified communications” is a fancy term for something that we’re all used to. We like to have continuity between our contacts. If you call someone or text them or email them or video chat with them, you want all that to happen with the same contact. Not “Jim Text,” “Jim Email,” “Jim Video”—just Jim. You want your communications to be unified. Now, we’re used to having a basic unified communications experience every day with our smartphones. But how do you translate that experience to the workplace? Workplaces need not just texting or emailing, but content sharing, video conferencing, and more. They need their communications system to replace and even enhance meetings. And all of that needs to happen reliably for potentially huge teams with excellent security. Microsoft Skype for Business is the answer that more and more enterprises are choosing. Because Microsoft has heard companies asking for maximum reliability, they’ve started working with manufacturers to produce a diverse line-up of communications solutions that work seamlessly with Skype for Business. Skype for Business controls a complete communications system for your business, but you still need the endpoints to take advantage of the platform. Video conferencing is an increasingly popular solution, because it saves you time and money on travel and planning, while retaining the face-to-face intimacy of in-person meetings. 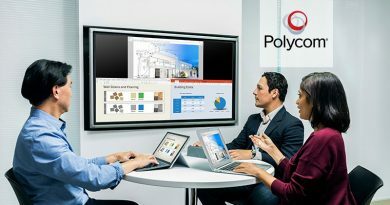 Polycom RealPresence Trio 8800 is the premier IP conference phone on the market today. It features incredible audio quality, stylish design, and intuitive smartphone-like controls. More than conference phone, it’s a collaboration hub. When you connect the Visual+ accessory and a compatible webcam, the Trio becomes a simple to use video conferencing solution for small to midsize rooms. 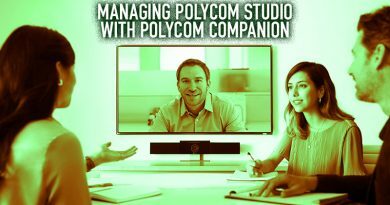 Polycom has worked with Microsoft to provide seamless integration of the Trio with Skype for Business. When used with Skype for Business, the Trio displays the SfB interface, including the familiar light-blue Skype icons. The Visual+ accessory connects to the Trio to drive 1080p Full HD video, and you can connect from PCs and mobile devices. With an HDMI port, you connect it to an HD display, and after that, it’s pretty much go. You have a professional video conferencing solution. 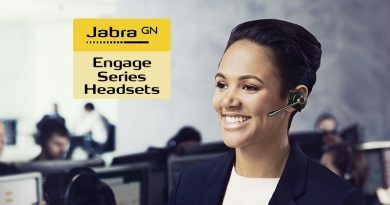 Jabra Speak 810 is the perfect solution for those times when you want to place a conference call but you don’t need all the features that a full conference phone like the Trio provides. Skype for Business runs just fine without a dedicated telephone unit. You can use a computer or even a smartphone for all your SfB communications. But you wouldn’t want to have everyone huddled around an iPhone, would you? Enter Jabra Speak 810. 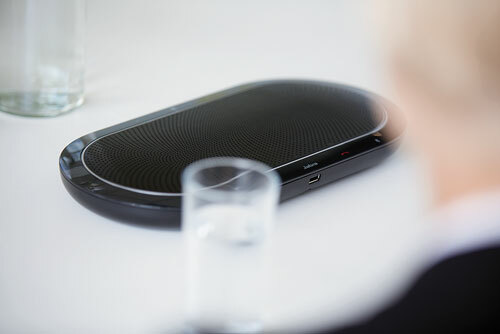 This sleek black speakerphone uses ZoomTalk microphones to capture the voices of up to 15 attendees in a conference call. You can connect using Bluetooth, NFC, 3.5mm, and USB, so you can use it for PCs, tablets, and mobile devices. Digital signal processing keeps the conversation clear. Speak 810 is certified to work with Microsoft Skype for Business. 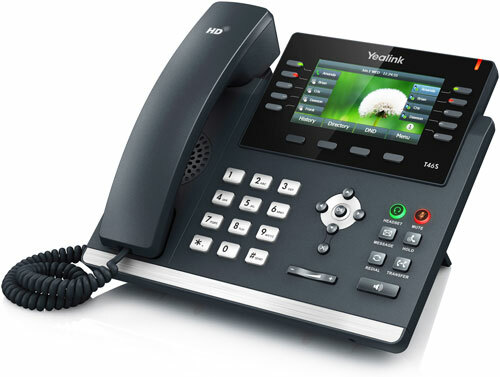 The Yealink T4 Series of IP phones is quickly becoming the go-to solution for desk phones for business. From entry level to executive, Yealink T4 provides a phone for everyone. Take the Yealink SIP-T46S. It gives you Yealink Optima HD technology that provides lifelike wideband audio, including support of the adaptable Opus audio codec. You get Gigabit Ethernet ports for future-proof speed that support PoE to simplify your infrastructure. You can add Bluetooth or WiFi using a USB dongle. In other words, it’s a manager’s phone, an elite business solution. Yealink has been working with Microsoft to certify the T4 Series for use with Skype for Business. As with the Trio, the T46S-SfB connects seamlessly and shows the Skype for Business interface, so switching between desktop and desk phone is simple. And your employees get to use a familiar phone. Headsets keep communications private. They’re particularly useful in call-intensive areas, like at reception or in call centers. 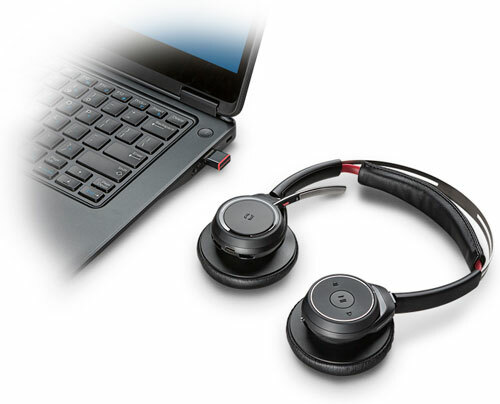 We sell a wide range of headsets that are Microsoft-certified for use with Skype for Business, like the Plantronics Voyager Focus UC B825-M. This Plantronics wireless stereo headset uses Bluetooth to connect to a PC or smartphone, giving you private wideband audio with a comfortable over-the-ear design. It uses active noise cancelling technology to clarify communications, important in busy offices, with a smart mic boom that provides stereo, volume, and track control without you having to worry about it. Because it’s certified to use for Skype for Business, the Voyager Focus UC also gives you integrated controls for unified communications. For example, the Voyager Focus UC can automatically update your presence, which indicates if you’re busy, on a call, available, and more. This makes your office’s communications more efficient, preventing disruptions. Skype for Business is a rich platform for enterprise communications. 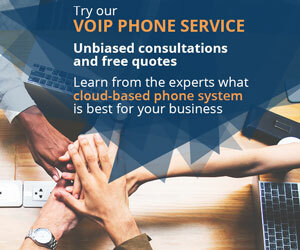 Microsoft-certified endpoints like the Polycom RealPresence Trio 8800, Jabra Speak 810, Yealink SIP-T46S, and Plantronics Voyager Focus UC B825-M extend and enhance your Skype for Business experience.